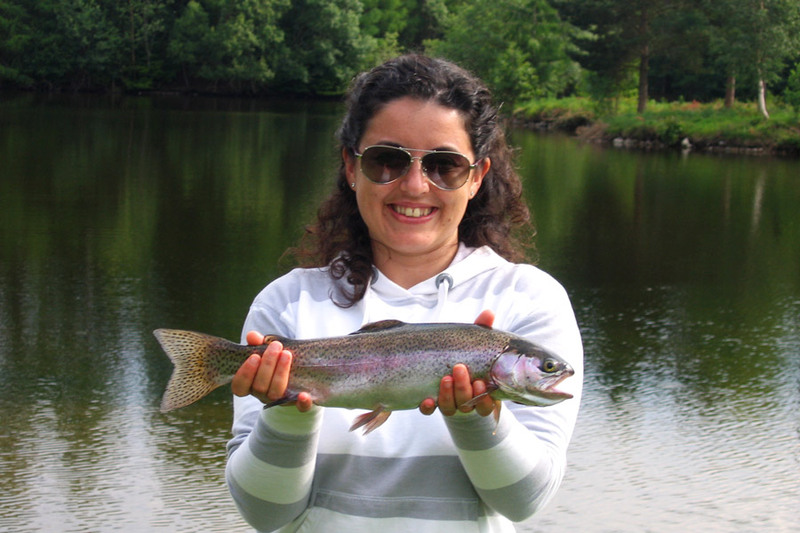 From April through September we can arrange trout fishing breaks based around our own waters, but also including day trips to other areas detailed in our Excursions section. In this way we can provide a plenty of variety and fishing to suit all degrees of ability. 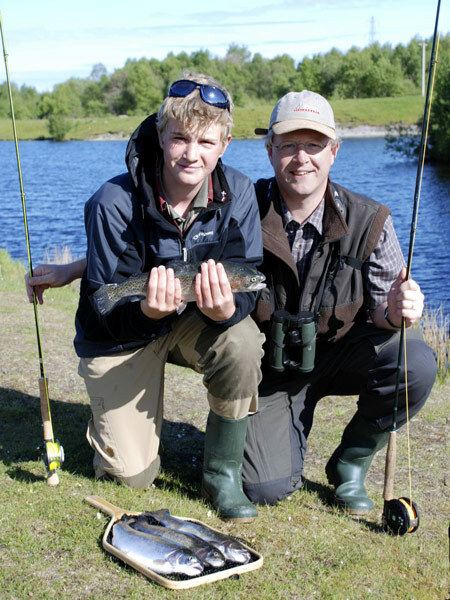 For those who have visited before, or gained some experience elsewhere of fly fishing on stocked rainbow waters, we can introduce you to the new tactics involved in fishing for wild brown trout, on river or on lochs. We would be pleased to put together a custom fishing package for you to meet your needs either as a single angler or a group. For custom short breaks to learn to fly fish for trout, we usually recommend at least 2 days, and ideally 3, to provide a good grounding in the basic skills. Learning to cast is very much about 'muscle memory' which improves daily, and with each session. Over the years we have also found that spending too much time on casting alone can become counter productive, so we like to mix-up casting tuition sessions with other instructional practical sessions as much as possible - this also makes it more fun! 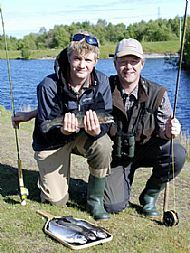 The overall aims of these breaks are to provide an enjoyable experience, a good overall appreciation of fly fishing, and significant progress towards learning to fly fish for trout. In practical terms, we focus on developing your proficiency in fly casting (roll cast, overhead cast, shooting line, false casting etc. ), but also cover safety, tackle and entomology and spend as much time as is available fly fishing for trout using various tactics. 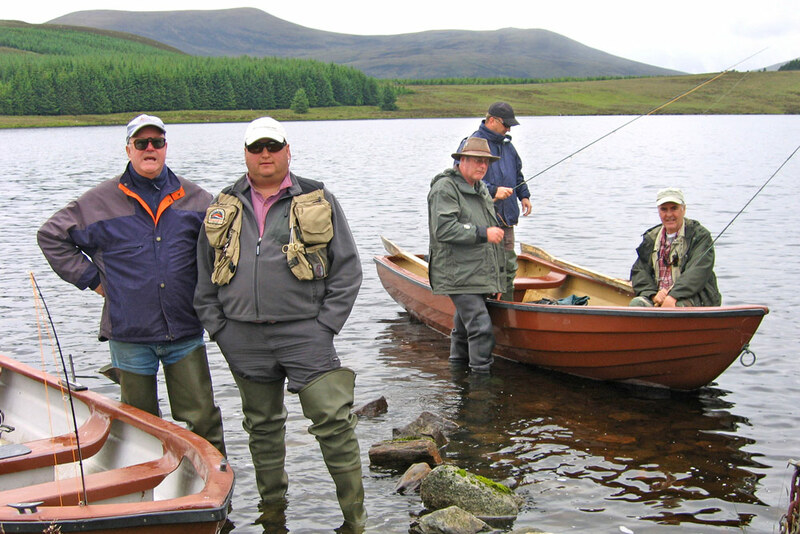 The itinerary that we will propose will be dependent on the number of anglers in your group (4 is generally a maximum), previous experience (if any), number of days and dates available, and fishing available to us for those dates. These factors will also dictate the pricing, though we will always try to work within your available budget. As these are custom breaks, the options and pricing are extremely variable, so please contact us for a specific proposal. We have now posted many short videos on YouTube some of which include footage captured during our 'Learn to Fly Fish' short breaks; there's one below, and another here. All of our videos our TroutQuestTV channel are in HD and best viewed at 1080p.